Sorry, this entry is only available in 영어, 中文 and 中文（繁體）. For the sake of viewer convenience, the content is shown below in this site default language. You may click one of the links to switch the site language to another available language. It’s been a month since we launched Hello Pal, and today we’d like to announce the release of the latest version, v1.1! When in text mode translation box, can switch directly to audio mode, and vice versa. 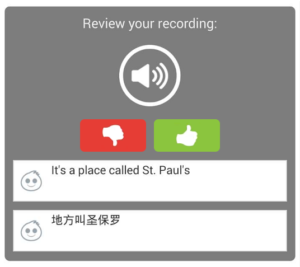 Fixed confusion: In Settings, “Phrasebook Language” renamed as “Translation Language”, because this does not mean which language phrasebook you wish to use but language you wanted to translate the phrasebook into. ADD NOTE – Be the most helpful Pal! One feature we’d like to highlight is the ADD NOTE function which lets you be a great help to your pal. 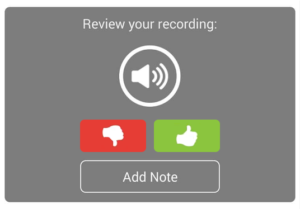 When you record a voice message, you can help your Pal understand what you just said by adding a note regarding what you just said. For example, you could write out exactly what you just said, in text. This would especially help people who better with reading than with listening comprehension. 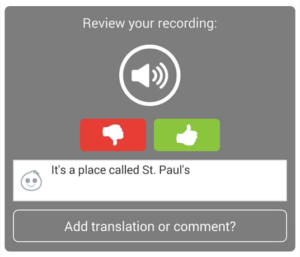 If you’re bilingual, you could even add a translation!